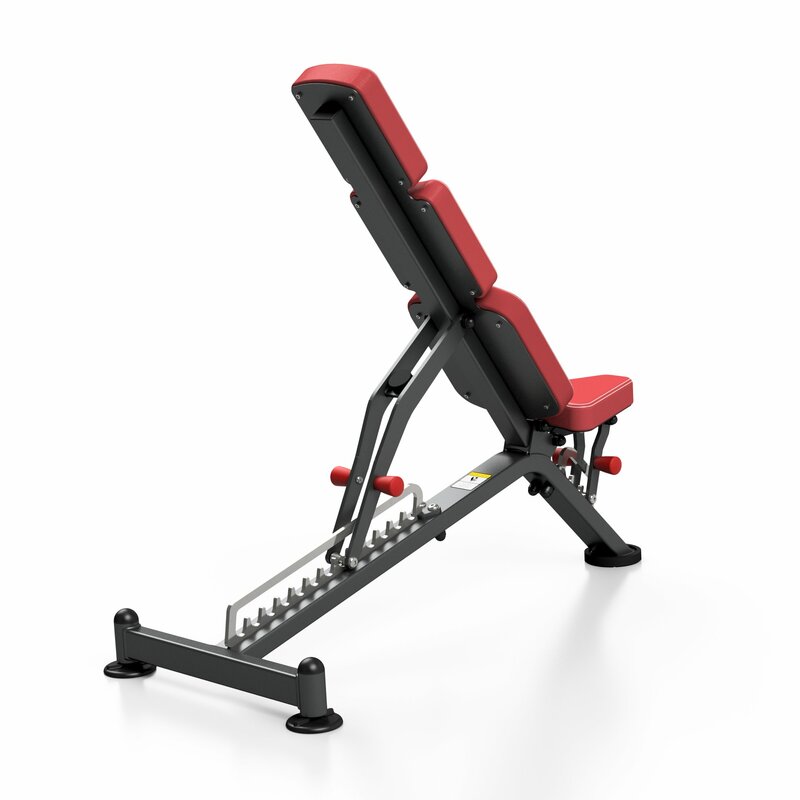 Professional Utility Bench, capable of handling up to 400 kg. 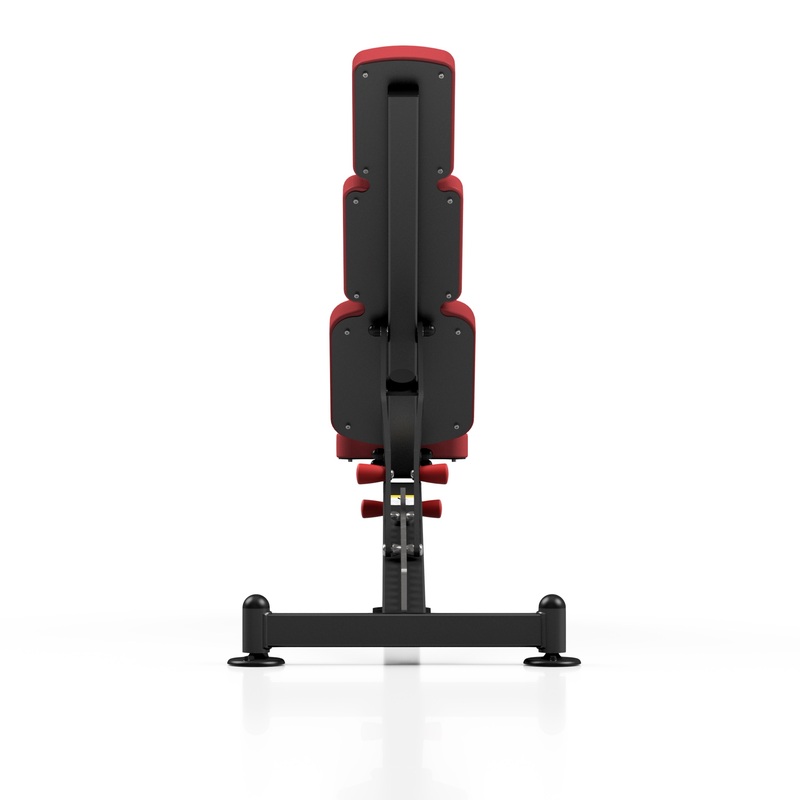 The Signature Pro line is certified according the ISO/EN 20957-4 standard and intended for professional use in gyms. 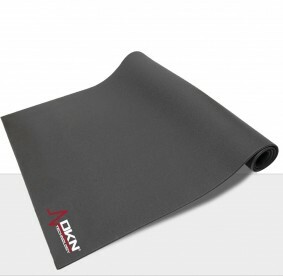 The Heavy Duty frame (80 x 40 x 3 mm) offers a great stability. It comes with stainless safety hooks (10 mm dia). 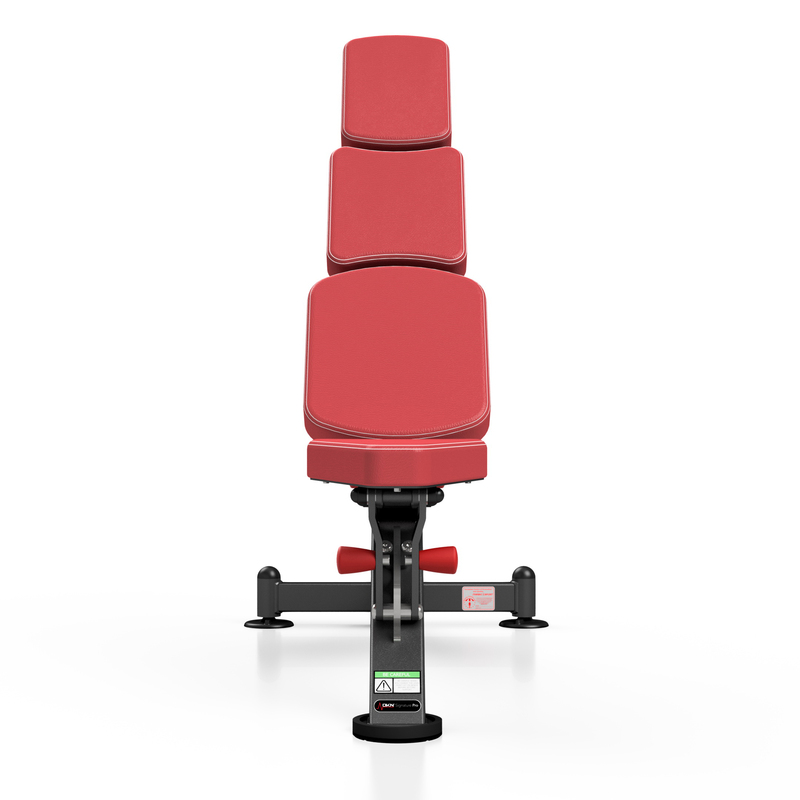 The seat itself has 3 adjustable positions, and the backrest goes from full decline to military in 13 steps The seat and backrest are composed of 4 individual segments, mounted on a solid 3 mm steel support, offering a high training comfort. 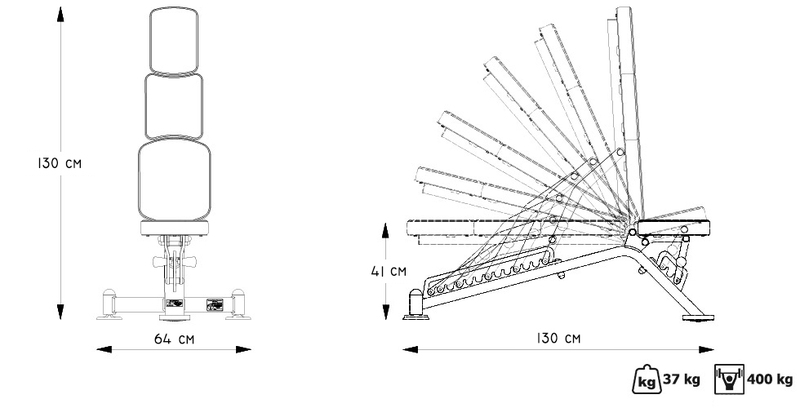 This is is a new innovative collection, offering a highly well concepted and intuitive use for any user. 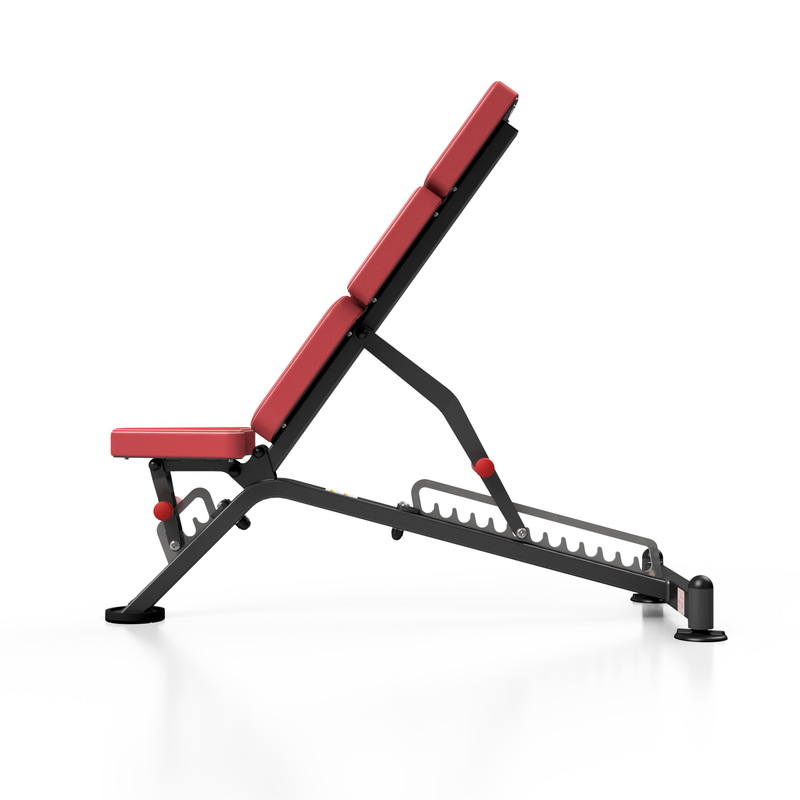 The seat is composed of 4 individual segments, mounted on a solid 3 mm steel support, offering a high training comfort. The Signature Pro Collection is produced on order only. Leadtime in delivery takes approximately 45 days after your order. Contact us for more details. 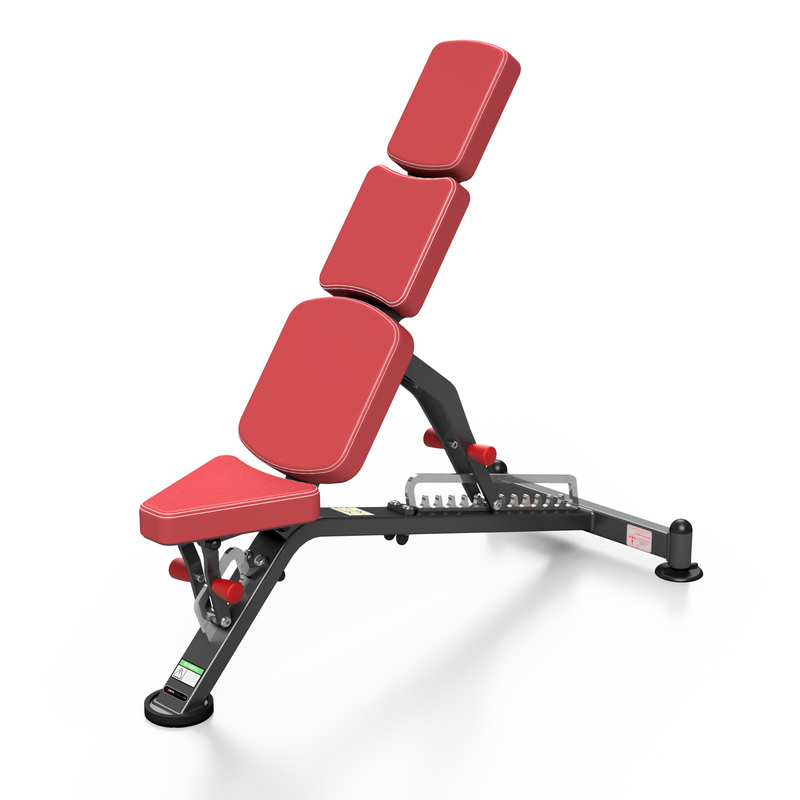 Backrest positioning in 13 steps: full decline up to military. All in one: red selection handle and safety pin. Double stitching, high-resistant real leather.